It can happen in an instant – day or night. And while battery-operated smoke detectors may provide a small measure of comfort, who will act on the alarm if no one is there to hear it? A fire detection system from All Secure can protect your home or business 24 hours a day, 7 days a week. 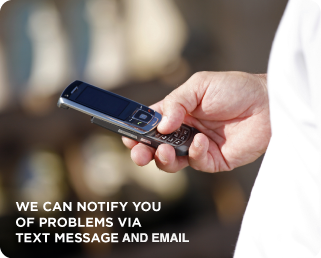 Residential owners and commercial property managers can be notified of problems like a low battery via text message or email. And because our technical staff is cross-trained, fire protection can be integrated with all of your building's systems. One call to one company can provide invaluable peace-of-mind – invest in a fire alarm or life safety system from All Secure.